We recently published a couple “Fascinating Cell Phone Related Facts” lists, which you can find here and here, on eBay who is currently running a cell phone selling challenge. Basically, if you’re looking to upgrade your cell phone, they’ll help you sell your old one and they also have great deals on buying brand new ones, such as the iPhone 6. Where does the challenge come in? They’re challenging you to sell your old phone on eBay and they’re so sure your old phone will sell (returning up to $200 more for your current previous generation phone), that they’ll give you a $100 eBay coupon if it doesn’t, assuming you list the phone between now and October 24th (restrictions apply obviously). So if you’re looking to buy or sell a cell phone visit: eBay For The Win for details on the offer and list your phone today. 1) One of the first items sold on eBay shortly after its launch in early September of 1995 was a broken laser pointer. When eBay creator, Pierre Omidyar, emailed the person who bought the broken laser pointer for $14.83 ($22.40 today) to make sure he knew it was broken, the man told him “I’m a collector of broken laser pointers.” Other early items sold on eBay included an autographed pair of Marky Mark (aka, Mark Wahlberg) underwear, which sold for $400, a Toyota Tercel ($3,200), and a superman lunchbox ($22). 3) When it was first created, eBay wasn’t called eBay, but rather AuctionWeb. The original look for the site was very similar to Craigslist today. (Aside: If you’re curious: Who is Craig from Craigslist?) 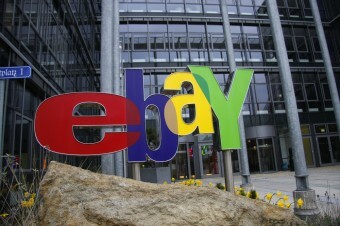 So why is it called eBay today? AuctionWeb was simply one of four sites Omidyar ran under his eBay Internet, a domain he’d purchased well before ever coming up with AuctionWeb. He originally wanted to call this “EchoBay,” but the domain was already taken by a Canadian mining company, so he shortened it. The other things you could find under the eBay umbrella were a page on the Ebola virus, a small travel agent site, and a personal shopper site. Within seven months of launching AuctionWeb, revenues coming in were out earning Omidyar’s day job at General Magic, so he quit to devote himself full time to his little side project. About a year and a half later, general users and many in the press had been calling it “eBay,” instead of AuctionWeb, so he switched the name. At the same time that happened in September of 1997, he also switched the look of the site to be much more graphically based. 5) In recent years, mobile purchases on eBay have soared with one of the most expensive items to date purchased via a mobile device being a $265,000 PA-46-310P Malibu airplane. 6) The Town of Buford, Wyoming was sold on eBay for $900,000. Considered one of the nation’s smallest towns, Buford is located in southeastern Wyoming between Cheyenne and Laramie on the Interstate 80 and consists of 10 acres with a convenience store, gas station, and modular home. The town was first founded during the construction of the Transcontinental Railroad in Wyoming and at one point boasted a population of about 2,000 people, mostly railroad workers. However in 1980, when Don Sammons first moved in with his wife Terry and their son from Los Angeles, they made up the whole population. After the death of his wife, Sammons bought the entire town in 1992. He ran Buford’s only General/ Hardware/ Liquor Store and gas station. He was also considered the town’s mayor. His son moved away in 2007, making Don Sammons the only resident of the town. In April of 2012, at age 61 Don decided to retire and move closer to his son in Colorado, putting the town of Buford up for auction on eBay. The online auction of the town created a lot of buzz, with people from 46 countries reported to have viewed and bid on it. In 11 minutes, it sold to two Vietnamese buyers, who had always dreamed of owning land in the U.S.
7) Before the retirement of the space shuttles, NASA used eBay and other similar sites to acquire things like old Intel 8086 chips and floppy disk drives that are no longer being made, but were essential to keeping the space shuttle support hardware working. Without those parts, the shuttles would have been forced to be grounded while NASA created extremely expensive redesigns of certain of their systems, which they ultimately were working on, such as a $20 million replacement for the booster automated checking system using more modern technology. 9) The second most expensive thing sold on eBay to date was one of Tyler Jet’s Gulfstream II private jets, with the winning bidder paying $4.9 million. 10) When eBay went public with a suggested price of $18 per share (but ultimately surged to $53.50 on the first day), the 30 employees of the company at the time did a conga line around the office. The biggest recipients of that public offering were Omidyar, who today is worth about $8.7 billion, and the first CEO of the company, Meg Whitman, who has a net worth of just under $2 billion today. 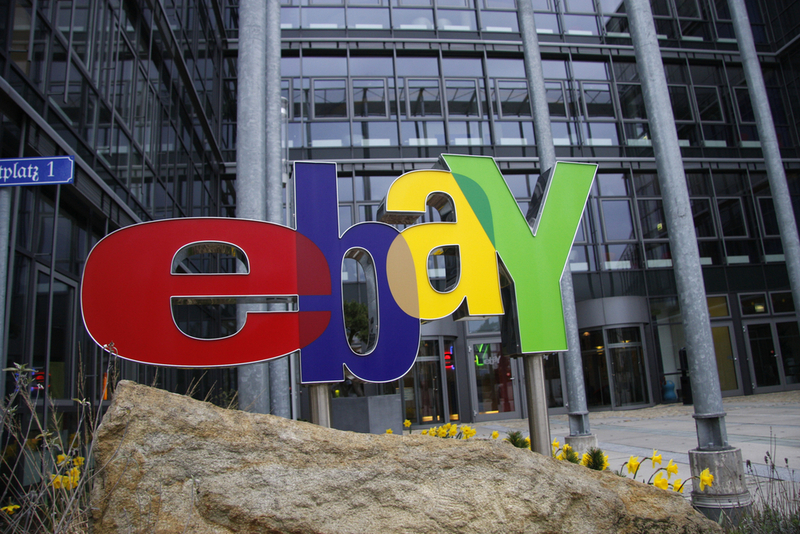 11) While eBay got its start in America, it is Britain that currently buys more items per capita on eBay than any other nation. 12) A new species of sea urchin was discovered on eBay in 2004 and something similar happened in 2008. In both cases, this was when someone listed the items (sea urchin and an insect of a previously unknown species encased in amber some 40-50 million years ago) on eBay for sale. In the latter case, the British scientist who bought it, Richard Harrington, attempted to have the name for the thing be Mindarus ebayici, but ultimately this was rejected and it was named Mindarus harrintoni. As soon as I read ‘sponsored’ article I lost interest in reading it. May be a bit harsh but something is lost about the objectivity when the same is ‘sponsored’. Did anyone else see an extra A in the “Probabaly” in the heading? Why didn’t your spell checker snag it?